Launch into battle like Iron Man! 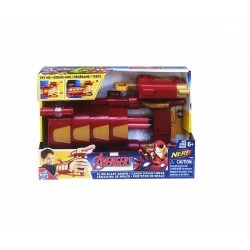 With the Slide Blast Armor, kids can push a button to send armor up their arm and “armor up” just like Iron Man! 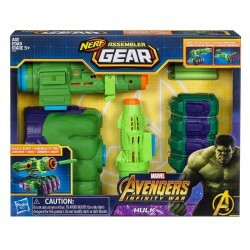 Pull the lever on the gauntlet, then push the button a second time to fire NERF darts! 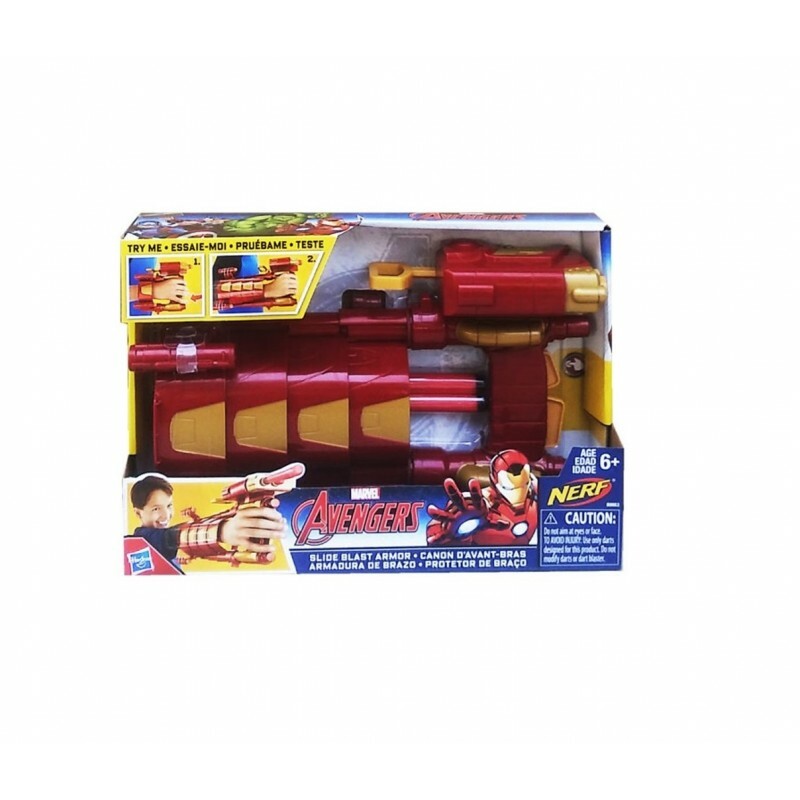 With the Iron Man Slide Blast Armor, kids can imagine joining the battle to save humanity alongside one of the most technologically advanced Super Heroes in the Marvel Universe!